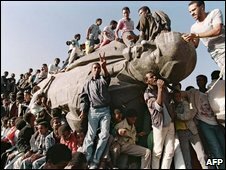 In the late 1970s Ethiopia's Marxist military rulers tortured and murdered hundreds of thousands in brutal repressions. Now, one survivor is trying to create a permanent online archive of the so-called Red Terror using the documents the Communist regime, known as the Derg, left behind, reports the BBC's Elizabeth Blunt. Hirut Abebe-Jiri was in her early teens when Emperor Haile Selassie was overthrown. She had had a happy and privileged childhood, part of a well-off and well-connected family. But the revolution made people like them liable to be viewed as suspicious. The revolutionary guards took her uncle first, then her father, then they came for her and her younger sister. "I was shaking and my sister was holding my hand," she says. "They took us into a kind of office room, with two desks, and Kelbessa [a senior official] was there." They were greeted by a horrifying sight. An 11-year-old boy from their neighbourhood was trussed up on a broomstick and suspended between the desks. He had been badly beaten and was bleeding and vomiting. "When we saw him, we just froze. And they asked him a question, when he was like that, in that position, they asked him: 'Which one?' And he said, 'Hirut'." With that, Ms Hirut's sister was taken away, Ms Hirut was trussed up between the tables and the beating started. "They were asking me about this gun which the boy said he had given me, and until this day I didn't know anything about the gun, so honestly I couldn't tell them," she says. "Finally they started putting water on me. Then after that when they hit you, your skin starts cracking, and the blood starts coming out. That was the painful time, and I was in and out of consciousness." The beating went on all night. It was daylight by the time they dragged her out of the torture room, and round to a cellar under the building where the women prisoners were kept. She had been beaten so badly it was several days before she could even walk as far as the toilet. Nowadays thick weeds grow round the back of the building - still used as the local government headquarters - and the door to the cellar where the women were kept is locked. A faint slogan scrawled over the door is still visible: "Ka hullum belay, Abiotu!" It means: "And above everything, the Revolution!" At the far end, there is a small store room where they put Ms Hirut's friend Elizabeth and her younger sister. Ms Elizabeth's sister, just 15 years old, was to die there, but the two other girls both survived. On their release they left the country. Ms Hirut went to Canada and Ms Elizabeth to the US, where they tried to forget the horrors they had suffered and build new lives. And that might have been the end of it. But one day Ms Hirut got a phone call from an Ethiopian friend who said she was sure she had seen Kelbessa Negewo, their torturer, in a hotel in Atlanta. Ms Hirut and Ms Elizabeth travelled to Atlanta and sure enough, it was him. "We were devastated because everything came back to our minds again. We had worked so hard to bury it," she says. The three young women had no legal experience but they were determined to bring Kelbessa to justice. It took 16 years, but in 2006 Kelbessa was put on a plane to Addis Ababa, where he is now serving a life sentence. Now Ms Hirut has a new campaign - to create a documentation centre of the Red Terror. Ethiopia's obsessive bureaucracy meant that everything was documented. Every arrest, every execution, every act of torture was authorised, signed for and rubber-stamped - and every piece of paper was filed away and kept. At the time it meant that the offiicals "covered their backs". If any of their acts was queried, they could prove someone else had authorised them to do it. But in the last days of the military regime, when it was threatened by rebels advancing on the capital, no-one seems to have made any attempt to destroy these incriminating papers. The special prosecutor's office used around 600,000 documents to build cases against the leaders of the Derg, and there are thousands more files still on the shelves. Now the special prosecutor's job is almost done. The prosecutor himself, Yosef Kiros, says he believes there are no more cases which can realistically be prosecuted. But Ms Hirut is determined that the documents his office collected should not be lost. Apart from anything else, many Derg officials had fled the country and were sentenced, like Mr Kelbessa, in absentia. 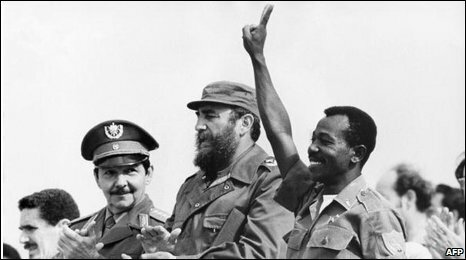 The documents may be needed to get them extradited and Ms Hirut has her eyes on the biggest prize of all, former head of state Mengistu Haile Mariam, who found refuge in Zimbabwe. As well as preserving the documents and keeping them in one place, she also wants to put them online, as an academic resource. "We need this archive," says Ms Hirut. "We need to study it. These people were not from another planet. These people were living in our neighbourhood, our families knew each other, we went to the same church, and then all of a sudden when the worst came, they did all these atrocities. "We still don't understand it. We have to study it, so that it never happens again. We will learn from it, and the younger generation will have a better life than we did. That is our hope." 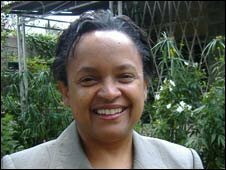 To listen to Elizabeth Blunt's full interview with Hirut Abebe-Jiri, tune in to African Perspectiveon the BBC World Service.The programme is first broadcast on Saturday 8 August at 1106 GMT. It will be available online from 2106 GMT, for one week.